An EF-2 tornado on Sunday, which packed winds up to 125 miles per hour, carved a gash along the southern side of Shelby, Ohio, a city of just under 10,000 people near Mansfield. The twister — the first to hit the area since the 1970s — reduced homes, businesses and a revered car dealership to ruin. 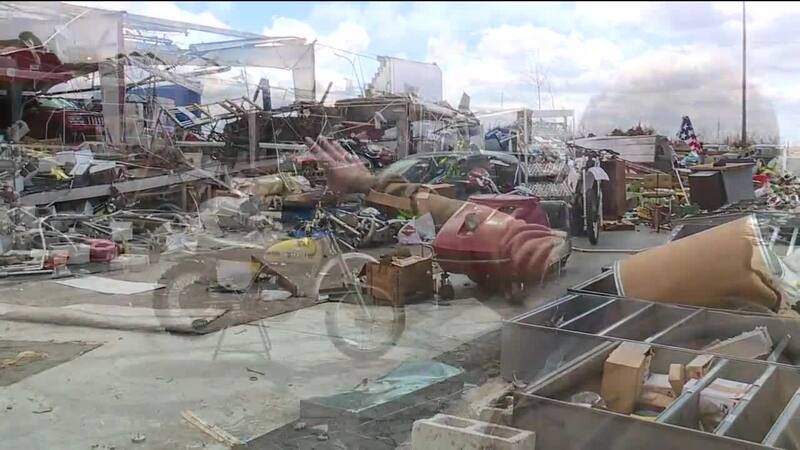 SHELBY, Ohio — An EF-2 tornado on Sunday, which packed winds up to 125 miles per hour, carved a gash along the southern side of Shelby, Ohio, a city of just under 10,000 people near Mansfield. The twister — the first to hit the area since the 1970s — reduced homes, businesses and a revered car dealership to ruin. Despite an uncertain future, employees of the dealership, Rocket Chevrolet, volunteered their time, sifting through the rubble in support of their friend and boss, owner Brett Schluter. The Palm Sunday tornado was up to a half-mile wide and had a 17-mile track, ranging from Shelby to five miles north of Olivesburg. The spring twister uprooted decades-old trees, snapped power lines, ripped off roofs and slung metal and vinyl siding hundreds of yards from the homes they were once affixed to. A total of six people suffered storm-related injuries. Rocket Chevrolet, a mainstay of Shelby, appears to have suffered the most damage. The front half of the dealership was torn off, sending cinder blocks flying into an empty field next door. Nearly every vehicle on the dealership’s expansive lot has some sort of damage, whether it be dents, dings or broken windshields. Utility poles came crashing down onto some of them. One of the dealership’s premier vehicles, a 2016 diesel truck whose price was $42,000, had a large chunk of plywood wedged in the radiator. “Just devastation. Everybody out here is out of a job. No work. My businesses —with it being torn up — I can’t do anything,” said Jerry Krose, who leases a wing of the dealership to operate his car detailing business. Although Krose doesn’t work for the dealership, he said the dealership’s owner, Brett Schluter, has always treated him like his own employee. Seeing Schluter’s business in ruin, Krose said, is heartbreaking. Krose and a few other employees of the dealership came by the debris-filled lot on Monday to begin what will be an exhaustive clean up and re-build. One of the group’s first tasks was to help retrieve and salvage some of Schluter’s prized possessions: several antique dirt bikes that he restored in his free time. Some of the dirt bikes date back to the ‘60s and ‘70s. Most were left unscathed. While insurance is likely to help cover the costs of rebuilding the dealership and restocking its inventory, there are bound to be weeks and months of stress. Despite this — and true to form — Schluter has apparently offered to help his employees get through the uncertain time.